I probably don’t need to tell you that although it’s among the most analogue of media, it translates quite well to the digital world. 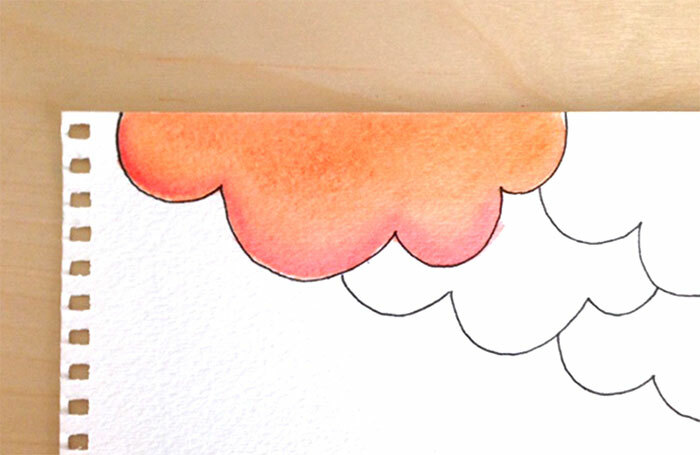 When I was crafting my design studio’s website, for instance, I chose to create custom watercolor headers for every page. They make a stunning statement and draw the eye, but don’t require great technical skill or expensive supplies. Don’t believe me? 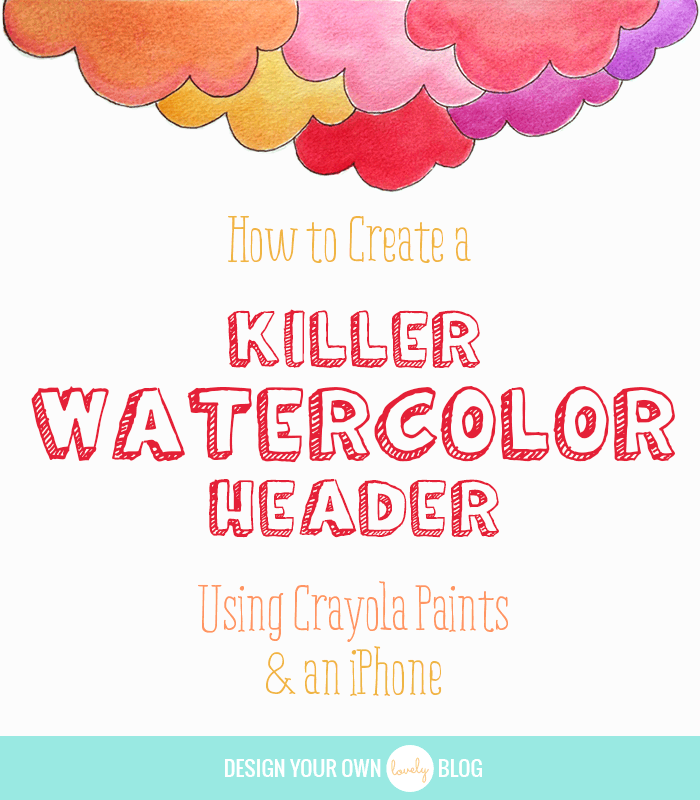 Follow along as I show you how to make an amazing cloud motif using Crayola paints and an iPhone! Hi everyone! Please welcome Sarah Moore of Positively Dreaming, a boutique brand creation venture. Sarah is an incredibly talented illustrator and designer mama who’ll take your brand from dull to sparkling! Check out her colorful and whimsical art as well as blogging advice on her blog. You’ll need watercolors, of course: Any type will do, but I’m on a budget, so I used some old Crayola paints I had lying around. 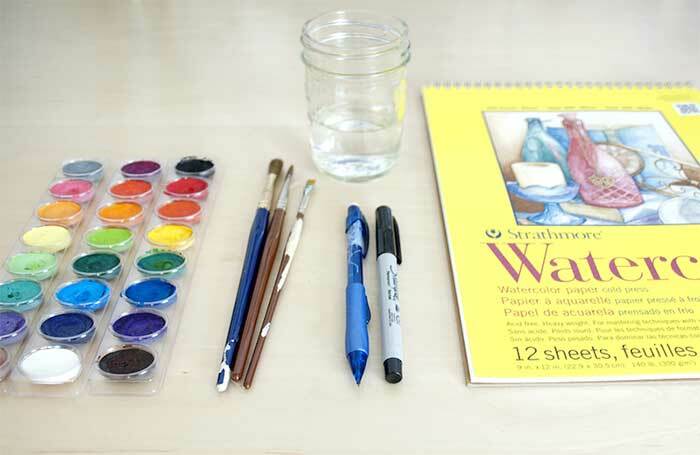 You’ll also need brushes of various sizes, a jar of water, a pencil, a fine-tipped Sharpie and watercolor paper. Real watercolor paper has a much more forgiving texture than cardstock or printer paper, so I don’t recommend substituting. 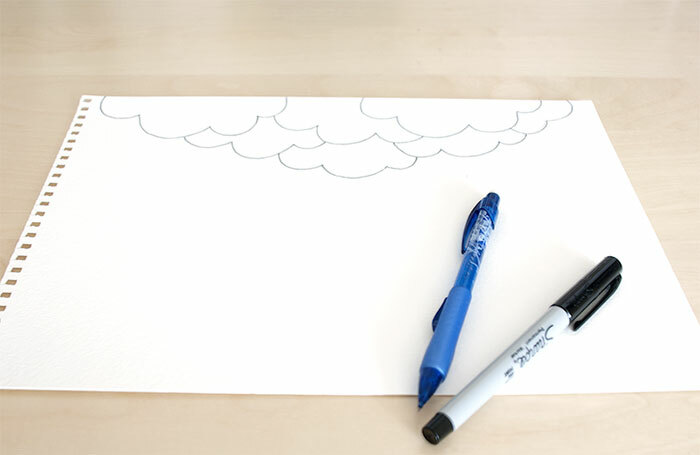 If you’re using a cloud motif like me, consider using two different colors to fill in the main part of the cloud and its belly, which in nature often catches a different color as the sun sets. 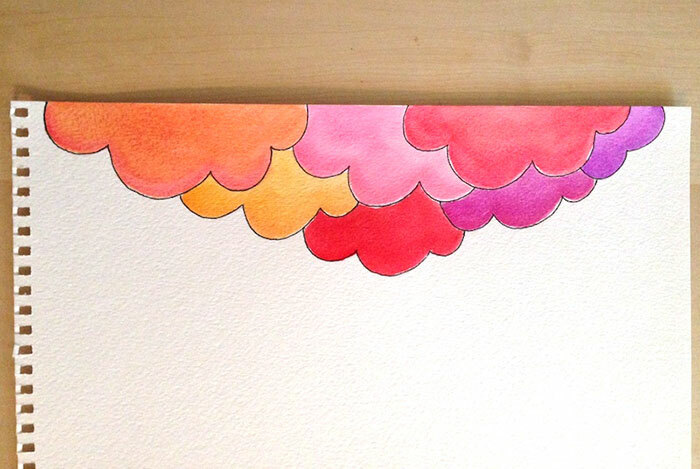 For my clouds, I used a variety of warm colors. If you were painting a stretch of grass or a forest, however, you would choose an array of cool greens and blues. Just make sure that you stick to one side of the color wheel: full rainbow effects are jarring to the eye. Note that I’ve left a little bit of white space against the edges of the clouds. I find this differentiates the colors from one another and adds another dimension to the painting. I like the handmade messy look, but if you like a more exacting effect, go for it. When taking your picture, aim for as much natural light as possible. If it’s too dark inside your house, go outside and put your picture on the ground before photographing. Never shoot at night, and avoid rooms with a bunch of electric light, which makes the image look too yellow. 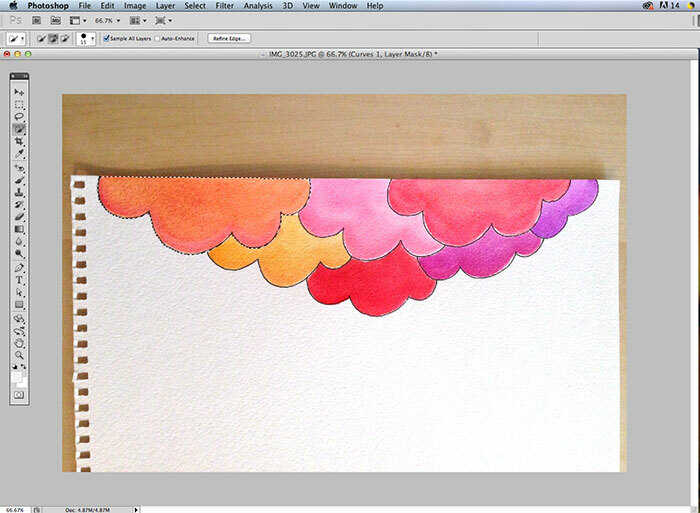 Outline the entire cloud, using the minus quick selection tool to remove extra space you’ve accidentally included. Be sure to include all of the black lines from the image, as it can look weird if they get cut off. 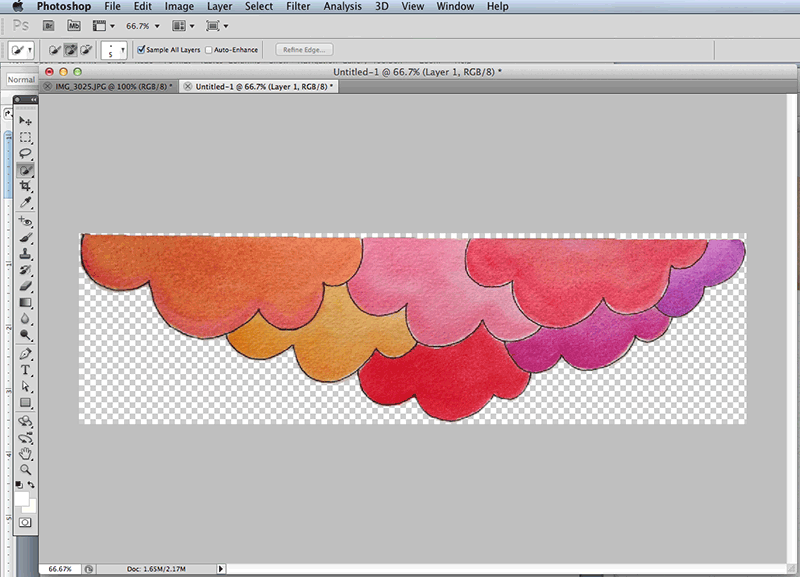 This watercolor blog header tutorial is sooo EASY! You have to try it! I find that my photos are sometimes a little off-color even when I do my best to shoot with good light. When this is the case, one simple trick saves me 90 percent of the time. Go to the Layers toolbar, click the little icon that looks like a half-black, half-white circle down at the bottom, and select Curves. Click the white-filled eyedropper (the lowest one), and then click on the whitest part of your photo. If your file size is too large, cut it down by changing the dimensions of the photo. With most banners, you won’t need a width of more than 1200px, and anything bigger could slow down your site. Avoid this by clicking Image > Image Size and selecting reasonable dimensions. Now save the image by going to File > Save for Web & Devices. Ensure that Transparency is still checked and hit save. 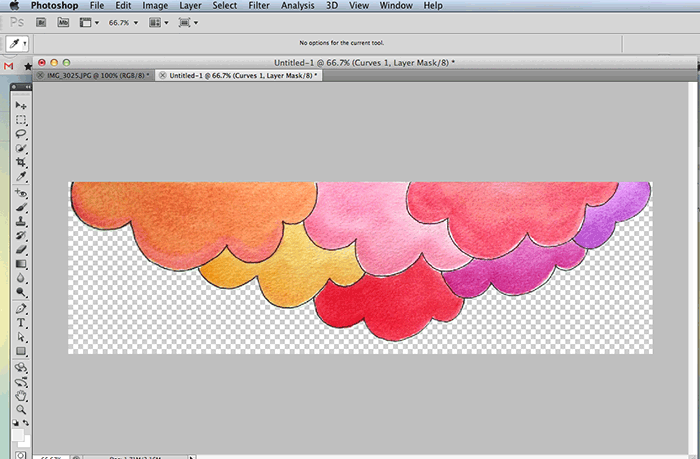 Check out your new, transparent-background, analogue-media custom header! Your new, transparent-background, analogue-media custom header! 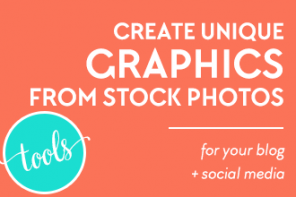 Now all you have to do is upload your work of art to your website or blog! So what do you think? Now that you’ve seen the magic at work, what are your ideas for how to use this process? Tell us in the comments below! 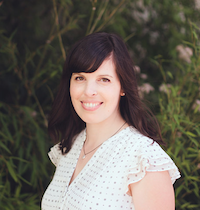 Sarah Moore is a designer and illustrator, and the founder of New Leaf Book Nook. She is obsessed with helping creatives find their perfect brand so they can feel confident sharing their products, services and messages with the world. She believes everyone deserves to love what they do, and to look good doing it! Thanks so much for this wonderful post. I feel so inspired after reading your clear step by step instructions. Thanks, Anita! It really isn’t too hard, and makes such a big difference to have a hand-crafted element on your blog or site, you know? Glad you enjoyed reading! This is pure genius! I will definitely try this for my website and blog! Aw thanks! Hope it works really well for you. Bonus: it’s also so so fun! Doesn’t she?? I would have expected this to be really hard! Jackie, that’s a great compliment coming from an awesome writerly type like yourself! Thanks Angelica, I hope it works for you. I also really love your recent piece about layers. When the cool weather hits I go crazy for them! I love the the look of your site @sarah splendid ,very clean and good to the eyes yet original and creative . Oh you’re so right Jenn, I didn’t even notice that myself! Thanks for the correction, I went ahead and edited it. Thanks for this step by step approach, came in timely as i am planning a move to wordpress, and redesigning my blog, header, etc! I just recently found your blog and I am in love hahaha! You post things that I have always wanted to know how to do. Your post have been so helpful to me Thank You!!! I’m so glad you’re finding help here, don’t even hesitate to let me know what else you’re wanting to know how to do! This looks like so much fun! Is there a way to create a graphic like this if you don’t have Photoshop? Lisa, you should be able to do it using Pixlr.com or a free trial of Affinity for mac: https://affinity.serif.com/en-gb/photo/ (i just discovered this myself but haven’t checked it out yet)! Wow, this is so great! I paint with watercolors for fun, and have wondered how I might create web elements from my paintings. I thought it would be super complicated, but you make it sound totally doable! Thank you so much for the excellent tutorial! Hey Bridgid, that’s awesome that you do watercolors for fun! I never seem to have time for that. I hope you’ll show us in the FB group when you create some digital versions of your watercolors. 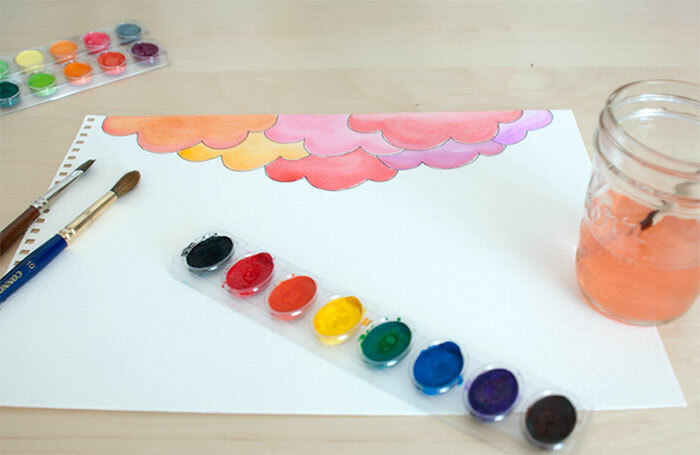 Get some fabulous watercolor paints and awesome design suggestions!! Thank you so so much mate. Highly recommended for this great stuff. 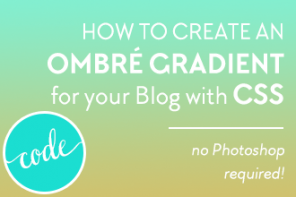 Tutorial on how to create a dazzling blog post graphic template that you can use over and over again using a free online tool called BeFunky!